The self-aware universe is expressed through patterns and not decisions. This is a law of communication and when it is brought to light it may transform one’s understanding of life. It was via patterns of frequent recurring that Echoes Of The Moon were made aware to me. At first it was the cover art, which communicates a melancholy as it may arise when someone connects with nature. Then it appeared as an indirect notion via scattered references that the inner eye picked up. And I, the writer, just followed the bread trail to the source, with a rather loose approach. Maybe it was this loose approach, when one doesn’t expect anything, where a form of communication can be established in such a way and the music speaks directly and effortlessly to one’s heart. Or maybe I am trying to convey in an indirect way, a non-precise way, that music has the tendency to create structures that cannot be grasped through words. If I were a painter, I would have a different approach in communicating the beauty that is enclosed within “Entropy”. But either way, or in a number of different ways, I am writing about something that is not the thing itself. When words cannot carry the emotion, the inner visual representation of art, we tend to create new words, of just give up and enjoy the experience. So, this confined writer, confined by words that is, has to establish a form of connection with the reader. The writer/reviewer works as a medium between art and experience, and he or she can only do it through the lenses of his/her subjective experience. Music, deeper than any other form of art, has the ability to communicate with every individual, regardless of language, upbringing, education, knowledge, gender, age, epoch. And that, my fellow readers, is an absolutely overwhelming realization. Music can transcend words and images. It can go beyond and into the spiritual. But music as art is also confined. It may be that it works in a certain way within me and in a different way within you, or in someone else. How did that come to be? Why is it not the same experience? Is it because the functioning of each body is different and thus the experience is different? But we do have some basic principles, which need to function in order for us to communicate. We come from the same soil but we are different in expression and form. That which unites us is the very essence of being. We are made out of the same stuff. Cooperation and conflict can only arise because of this essence. And from that same essence, art comes to life. Art is a means to explore and it can be done by both the artist and the one experiencing the art. How can one not love that which is a fragment of being, a shape shifting creation that doesn’t only move in space, but also in time? Brock, the man behind the art, is an explorer. As a creator, he uses forms, with some basic patterns, like a riff, while evolvement is the key in every song. The guitars lead, the percussions set the mood, and the screams come from above like the fog in the dusk. Each song is a structure that revolves around a core theme, changing form, pace and emotional intensity, creating an interesting and beautiful exploration. Composition and song structuring is Brock’s strong skill. While at times, some solo’s and leads feel that they could be more precise, closer to the heart, and other times the songs feel a bit stretched, the overall aesthetics, the composition of each song, the emotional imprint and every other element that works cooperatively, allows the listener to sink into it and enjoy a beautiful creation. The song “Adaptation” is moving into psychedelic rock territories, with oriental percussion, while “The Tower Of Babylon” is more closely related to the marriage of post rock and black metal. And in between them “Ideaologue”, a Burzumian song. 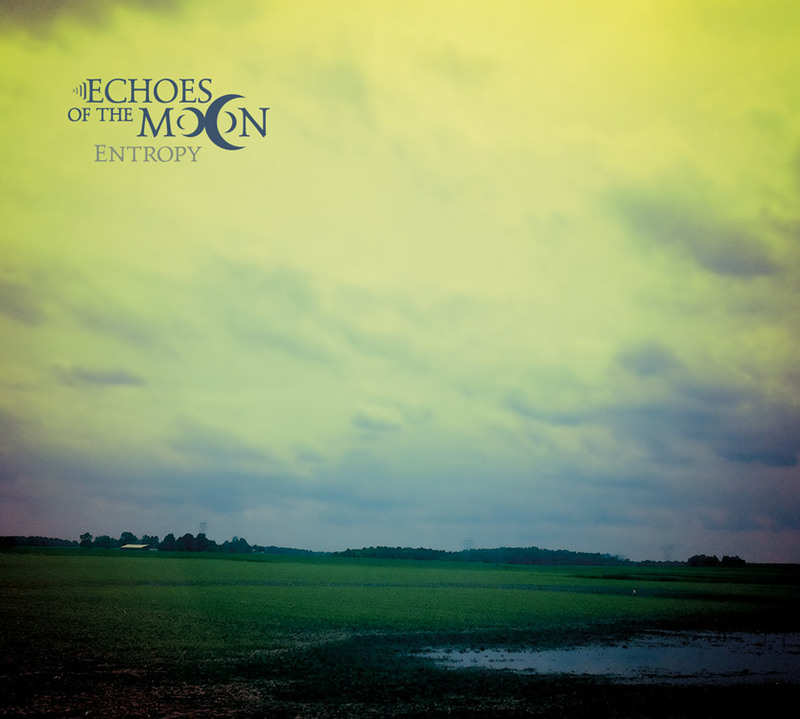 Even though the disparity of musical forms is wide, the whole creation entitled “Entropy” can be experienced as a whole; with every different aspect of it feeling like it belongs there. For example, the structure of “The Tower Of Babel” is damn impressive and eloquent, while the listener never loses interest. It begins with simple accords, ambience and repeating drum patterns. Then the lead guitar is introduced playing a theme, which feels like a narration and not necessarily a solo. Then in 2:20 the riff (the core theme) and the voice appear together. The riff plays, the lead guitar continues, while the drums maintain the same patterns and the voice changes from deep to scream. The narration of the lead guitar appears again, while the second guitar plays a similar theme and the narration transforms into an electric conversation between the guitars. And that covers the first 7 minutes. Like a swing that moves between mountains and the voice coming from the sky, sensitive and aggressive, vulnerable and playful, it needs to be felt and not explained. Listen to it while jogging, or while browsing, or while eating pizza. Just pay attention to it and it will speak to you. It is beautiful, it is longer than it should be, it has heart, it is moving and creates visuals, it is rough on the edges and not very precise and coherent at times, it is an exploration that will reward anyone who will allow himself/herself to sink into it, and maybe even become it for that certain period of time. “Entropy” is a beautiful album where the flaws are part of its charm.